Brian Jacob Church, a protester known as one of the “Nato Three”, was held and questioned at Homan Square in 2012 following a police raid. Officers restrained Church for the better part of a day, denying him access to an attorney, before sending him to a nearby police station to be booked and charged. The secretive warehouse is the latest example of Chicago police practices that echo the much-criticized detention abuses of the US war on terrorism. While those abuses impacted people overseas, Homan Square – said to house military-style vehicles, interrogation cells and even a cage – trains its focus on Americans, most often poor, black and brown. Unlike a precinct, no one taken to Homan Square is said to be booked. Witnesses, suspects or other Chicagoans who end up inside do not appear to have a public, searchable record entered into a database indicating where they are, as happens when someone is booked at a precinct. Lawyers and relatives insist there is no way of finding their whereabouts. Those lawyers who have attempted to gain access to Homan Square are most often turned away, even as their clients remain in custody inside. “It’s sort of an open secret among attorneys that regularly make police station visits, this place – if you can’t find a client in the system, odds are they’re there,” said Chicago lawyer Julia Bartmes. Chicago civil-rights attorney Flint Taylor said Homan Square represented a routinization of a notorious practice in local police work that violates the fifth and sixth amendments of the constitution. Much remains hidden about Homan Square. The Chicago police department did not respond to the Guardian’s questions about the facility. But after the Guardian published this story, the department provided a statement insisting, without specifics, that there is nothing untoward taking place at what it called the “sensitive” location, home to undercover units. “CPD [Chicago police department] abides by all laws, rules and guidelines pertaining to any interviews of suspects or witnesses, at Homan Square or any other CPD facility. If lawyers have a client detained at Homan Square, just like any other facility, they are allowed to speak to and visit them. It also houses CPD’s Evidence Recovered Property Section, where the public is able to claim inventoried property,” the statement said, something numerous attorneys and one Homan Square arrestee have denied. “There are always records of anyone who is arrested by CPD, and this is not any different at Homan Square,” it continued. The Chicago police statement did not address how long into an arrest or detention those records are generated or their availability to the public. A department spokesperson did not respond to a detailed request for clarification. When a Guardian reporter arrived at the warehouse on Friday, a man at the gatehouse outside refused any entrance and would not answer questions. “This is a secure facility. You’re not even supposed to be standing here,” said the man, who refused to give his name. 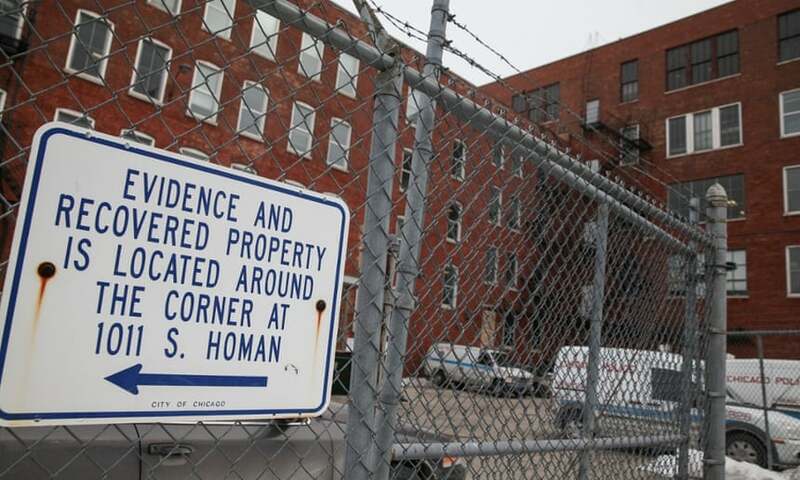 A former Chicago police superintendent and a more recently retired detective, both of whom have been inside Homan Square in the last few years in a post-police capacity, said the police department did not operate out of the warehouse until the late 1990s. 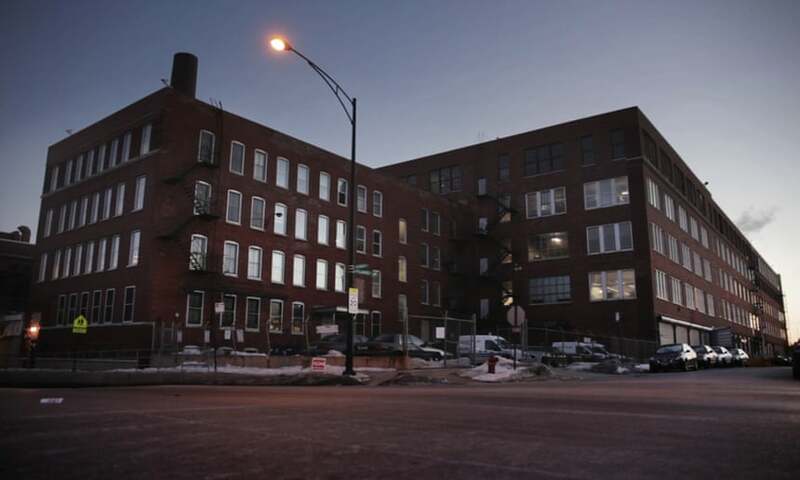 But in detailing episodes involving their clients over the past several years, lawyers described mad scrambles that led to the closed doors of Homan Square, a place most had never heard of previously. The facility was even unknown to Rob Warden, the founder of Northwestern University Law School’s Center on Wrongful Convictions, until the Guardian informed him of the allegations of clients who vanish into inherently coercive police custody. Jacob Church learned about Homan Square the hard way. On May 16 2012, he and 11 others were taken there after police infiltrated their protest against the Nato summit. Church says officers cuffed him to a bench for an estimated 17 hours, intermittently interrogating him without reading his Miranda rights to remain silent. It would take another three hours – and an unusual lawyer visit through a wire cage – before he was finally charged with terrorism-related offenses at the nearby 11th district station, where he was made to sign papers, fingerprinted and photographed. In preparation for the Nato protest, Church, who is from Florida, had written a phone number for the National Lawyers Guild on his arm as a precautionary measure. Once taken to Homan Square, Church asked explicitly to call his lawyers, and said he was denied. “Essentially, I wasn’t allowed to make any contact with anybody,” Church told the Guardian, in contradiction of a police guidance on permitting phone calls and legal counsel to arrestees. Church’s left wrist was cuffed to a bar behind a bench in windowless cinderblock cell, with his ankles cuffed together. He remained in those restraints for about 17 hours. “I had essentially figured, ‘All right, well, they disappeared us and so we’re probably never going to see the light of day again,’” Church said. Though the raid attracted major media attention, a team of attorneys could not find Church through 12 hours of “active searching”, Sarah Gelsomino, Church’s lawyer, recalled. No booking record existed. Only after she and others made a “major stink” with contacts in the offices of the corporation counsel and Mayor Rahm Emanuel did they even learn about Homan Square. They sent another attorney to the facility, where he ultimately gained entry, and talked to Church through a floor-to-ceiling chain-link metal cage. 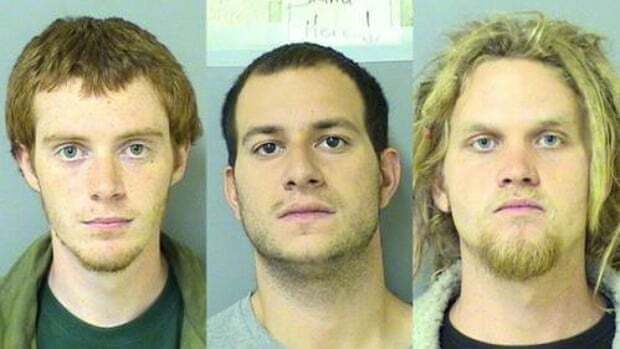 Finally, hours later, police took Church and his two co-defendants to a nearby police station for booking. After serving two and a half years in prison, Church is currently on parole after he and his co-defendants were found not guilty in 2014 of terrorism-related offenses but guilty of lesser charges of possessing an incendiary device and the misdemeanor of “mob action”. The access that Nato Three attorneys received to Homan Square was an exception to the rule, even if Jacob Church’s experience there was not. Three attorneys interviewed by the Guardian report being personally turned away from Homan Square between 2009 and 2013 without being allowed access to their clients. Two more lawyers who hadn’t been physically denied described it as a place where police withheld information about their clients’ whereabouts. Church was the only person who had been detained at the facility who agreed to talk with the Guardian: their lawyers say others fear police retaliation. One man in January 2013 had his name changed in the Chicago central bookings database and then taken to Homan Square without a record of his transfer being kept, according to Eliza Solowiej of Chicago’s First Defense Legal Aid. (The man, the Guardian understands, wishes to be anonymous; his current attorney declined to confirm Solowiej’s account.) She found out where he was after he was taken to the hospital with a head injury. Bartmes, another Chicago attorney, said that in September 2013 she got a call from a mother worried that her 15-year-old son had been picked up by police before dawn. A sympathetic sergeant followed up with the mother to say her son was being questioned at Homan Square in connection to a shooting and would be released soon. When hours passed, Bartmes traveled to Homan Square, only to be refused entry for nearly an hour. An officer told her, “Well, you can’t just stand here taking notes, this is a secure facility, there are undercover officers, and you’re making people very nervous,” Bartmes recalled. Told to leave, she said she would return in an hour if the boy was not released. He was home, and not charged, after “12, maybe 13” hours in custody. On February 2, 2013, John Hubbard was taken to Homan Square. Hubbard never walked out. The Chicago Tribune reported that the 44-year old was found “unresponsive inside an interview room”, and pronounced dead. After publication, the Cook County medical examiner told the Guardian that the cause of death was determined to be heroin intoxication. Homan Square is hardly concerned exclusively with terrorism. Several special units operate outside of it, including the anti-gang and anti-drug forces. If police “want money, guns, drugs”, or information on the flow of any of them onto Chicago’s streets, “they bring them there and use it as a place of interrogation off the books,” Hill said. Transferring detainees through police custody to deny them access to legal counsel, would be “a career-ender,” Dorsch said. “To move just for the purpose of hiding them, I can’t see that happening,” he told the Guardian. Richard Brzeczek, Chicago’s police superintendent from 1980 to 1983, who also said he had no first-hand knowledge of abuses at Homan Square, said it was “never justified” to deny access to attorneys. “Homan Square should be on the same list as every other facility where you can call central booking and say: ‘Can you tell me if this person is in custody and where,’” Brzeczek said. Indeed, Chicago police guidelines appear to ban the sorts of practices Church and the lawyers said occur at Homan Square. Attorney Scott Finger said that the Chicago police tightened the latter directive in 2012 after quiet complaints from lawyers about their lack of access to Homan Square. Without those changes, Church’s attorneys might not have gained entry at all. But that tightening – about a week before Church’s arrest – did not prevent Church’s prolonged detention without a lawyer, nor the later cases where lawyers were unable to enter. The combination of holding clients for long periods, while concealing their whereabouts and denying access to a lawyer, struck legal experts as a throwback to the worst excesses of Chicago police abuse, with a post-9/11 feel to it. On a smaller scale, Homan Square is “analogous to the CIA’s black sites,” said Andrea Lyon, a former Chicago public defender and current dean of Valparaiso University Law School. When she practiced law in Chicago in the 1980s and 1990s, she said, “police used the term ‘shadow site’” to refer to the quasi-disappearances now in place at Homan Square. Police often have off-site facilities to have private conversations with their informants. But a retired Washington DC homicide detective, James Trainum, could not think of another circumstance nationwide where police held people incommunicado for extended periods. “I’ve never known any kind of organized, secret place where they go and just hold somebody before booking for hours and hours and hours. That scares the hell out of me that that even exists or might exist,” said Trainum, who now studies national policing issues, to include interrogations, for the Innocence Project and the Constitution Project. Regardless of departmental regulations, police frequently deny or elide access to lawyers even at regular police precincts, said Solowiej of First Defense Legal Aid. But she said the outright denial was exacerbated at Chicago’s secretive interrogation and holding facility: “It’s very, very rare for anyone to experience their constitutional rights in Chicago police custody, and even more so at Homan Square,” Solowiej said. Cook County, home of Chicago, has received some 1,700 pieces of military equipment from a much-criticized Pentagon program transferring military gear to local police. It includes a Humvee, according to a local ABC News report. Tracy Siska, a criminologist and civil-rights activist with the Chicago Justice Project, said that Homan Square, as well as the unrelated case of ex-Guantánamo interrogator and retired Chicago detective Richard Zuley, showed the lines blurring between domestic law enforcement and overseas military operations. “The real danger in allowing practices like Guantánamo or Abu Ghraib is the fact that they always creep into other aspects,” Siska said.